Will Harley-Davidson riders really warm up to the concept of an electric motorcycle? Harley's bikes are about as old-school (and just plain old) as you get, and that's how its customers like it. But now Harley wants to know what the faithful would expect from an electric bike. That's what this motorcycle is for. Yesterday we got a teaser confirmation of Harley's electric bike, and today we get to see the real deal. Meet Project LiveWire. It is the storied Milwaukee company's first-ever electrified motorcycle. 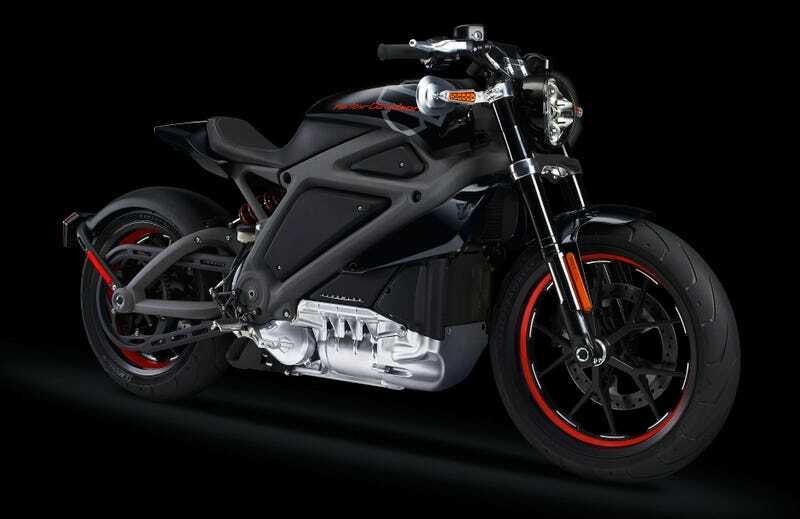 But if an electric Harley is an extremely enticing proposition for you, don't get too excited just yet. It's not for sale or production. Instead, Harley is taking it across the country, inviting customers to do test rides and provide feedback. Project LiveWire is taking a journey down Route 66 to more than 30 dealerships this year, and next year it will do the same in Canada and Europe as well. Harley didn't release specs on the bike, except to say it will offer a "a no-excuses riding experience" and a visceral sound distinctive from other internal combustion and electric bikes on the market. Check out more details, including test ride locations, at the project's official site. Who wants an electric Harley?